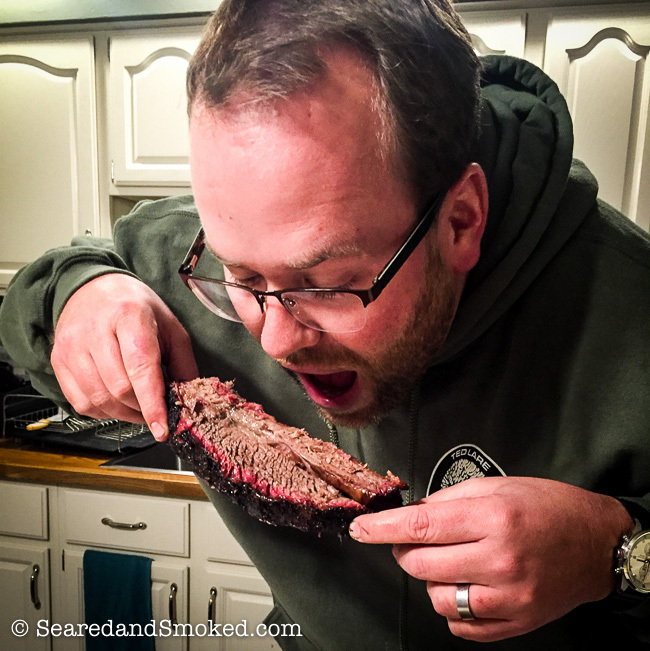 If you love a good smoked brisket, then you will love his smaller cousin, smoked chuck roast. 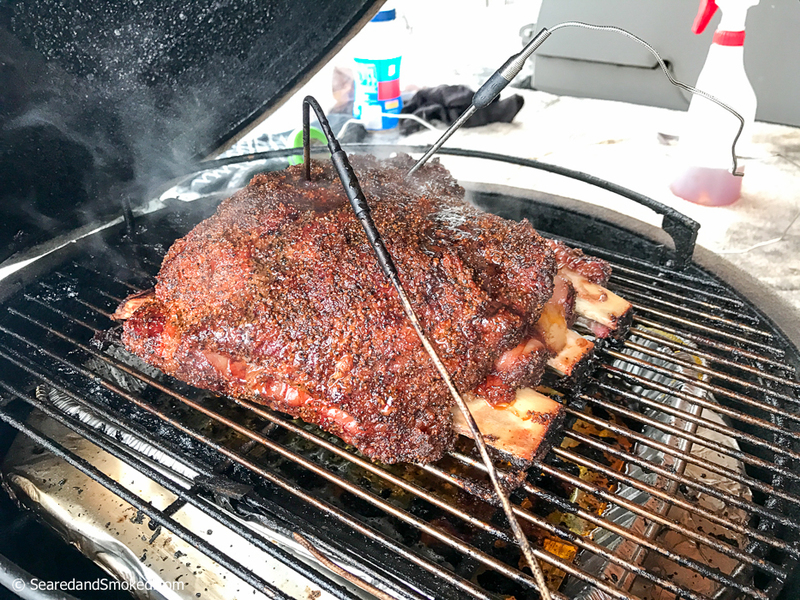 I have heard of others smoking different cuts of beef as an alternative to brisket, including chuck roast, and I had to give this a try. 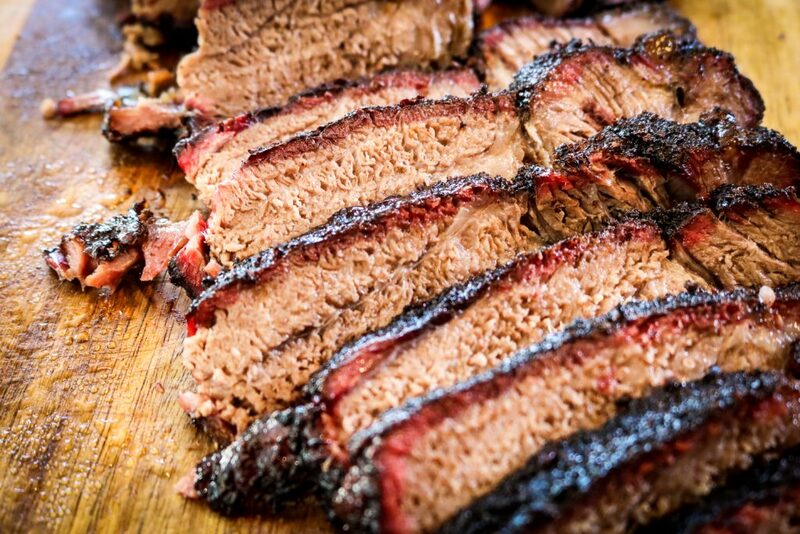 I love brisket, but it can be a large investment of time and money as well. Usually you are going to pay at least $30 and more likely $50 for a good brisket. I found this beautiful 2.5 lb chuck roast for $14. Quite the steal, considering the highly marbled beef that will render down into tender delicious brisket like morsels. When choosing your chuck roast, look for piece that is very thick and highly marbled with fat. Most of the fat will disappear over the 10 hours it will take to smoke the chuck roast, so you want a good amount of fat in this cut of meat. 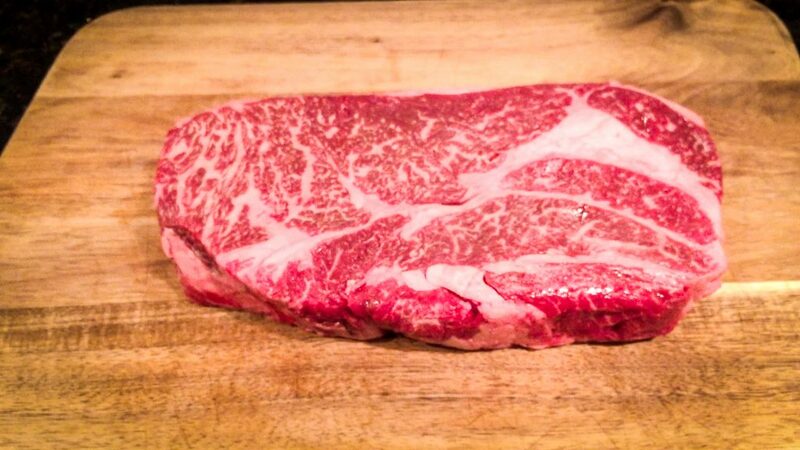 The key is finding awesome marbling, vs large veins or chunks of fat within the chuck roast. 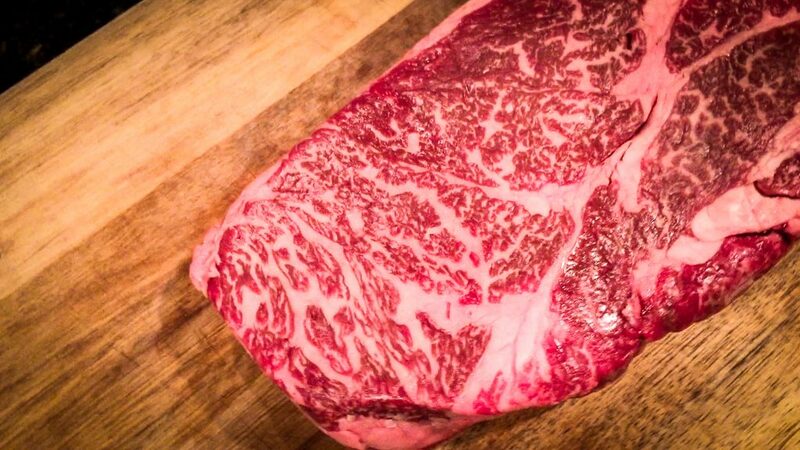 Its OK to have some of the larger pieces of fat, as its hard to avoid… but look for the best cut with the best marbling. The piece I found was 2.5 lbs, but try to get a thicker cut that is in the 3″ thick range….. giving you a starting weight of 3.5 lbs or more. Because this is a smaller piece of meat, we are not going to cut any fat off of it. This is subjective depending on your chuck roast, so make the call that you are most comfortable with. Next, we are going to season the beef with a salty spicy rub that will soak into the chuck roast as we smoke it for 10 hours over indirect heat. This rub is on the spicier side, but it will mellow out over the duration of the cook. The end result is nice back end heat with each bite. 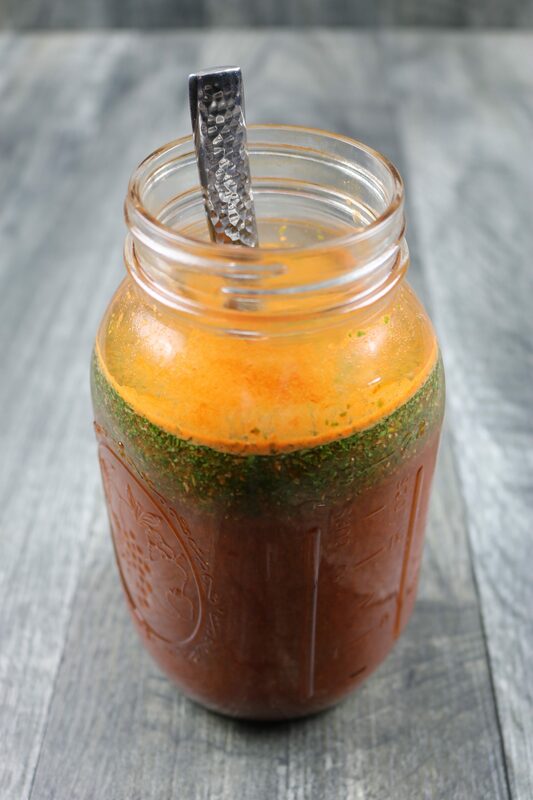 If you do not care for any heat at all, then you can omit the jalapeno powder and cayenne pepper. Either way, season the chuck roast heavily on the top and bottom and less heavily on the sides. 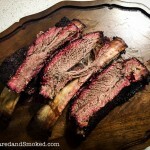 If I had to choose one thing to smoke to impress company, it would probably be Smoked Beef Ribs. Nothing is more impressive when you pull them off the smoker. Large bones you can grip in your hands and thick luscious beef that is marbled with rendered fat that makes every bite a treat. 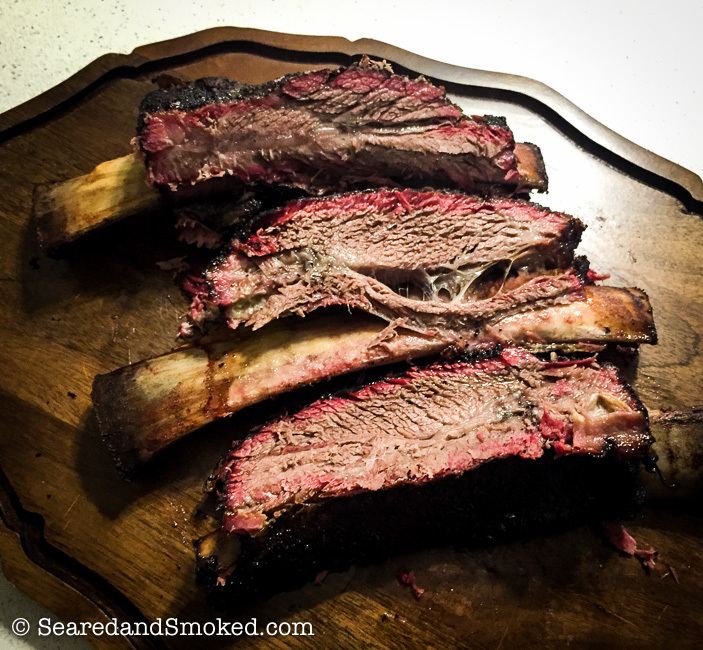 I originally posted a recipe for Smoked Beef Ribs in 2016. 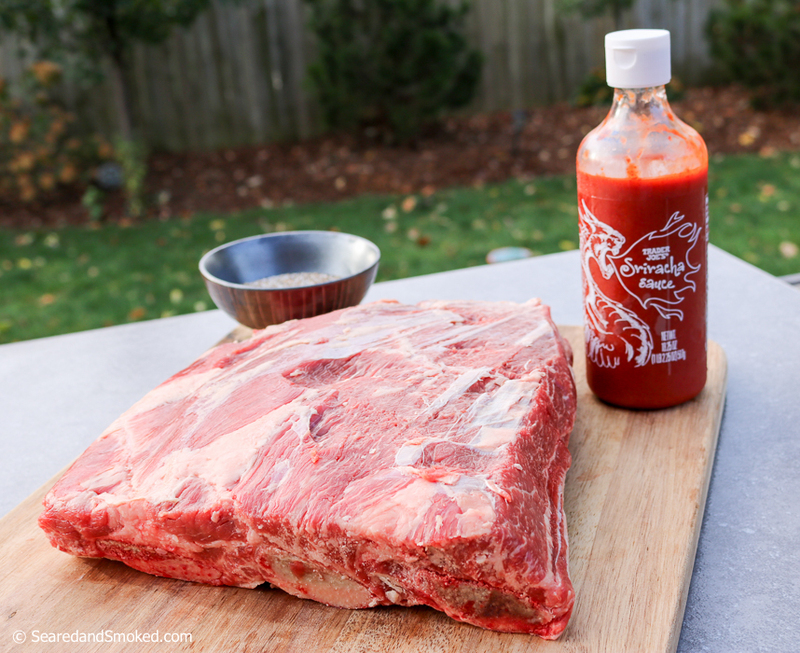 Today we are taking it to the next level with Sriracha Smoked Beef Ribs. Choose either recipe… they are both damn good! I found this new Sriracha coating to add a little bit of spice and a little bit of salt to the flavor of the ribs. Definitely not overpowered with heat and spice. So, if you like it real hot, then add some cayenne to the beef rib rub found below. 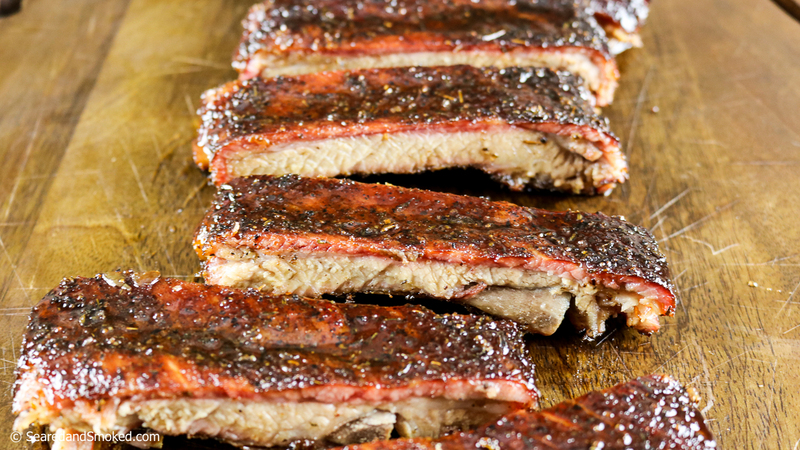 Give these monster ribs a try either way…. you’ll love em! Large Lump Charcoal from Fogo – simply the best brand for large chunks of lump charcoal, nothing else compares. 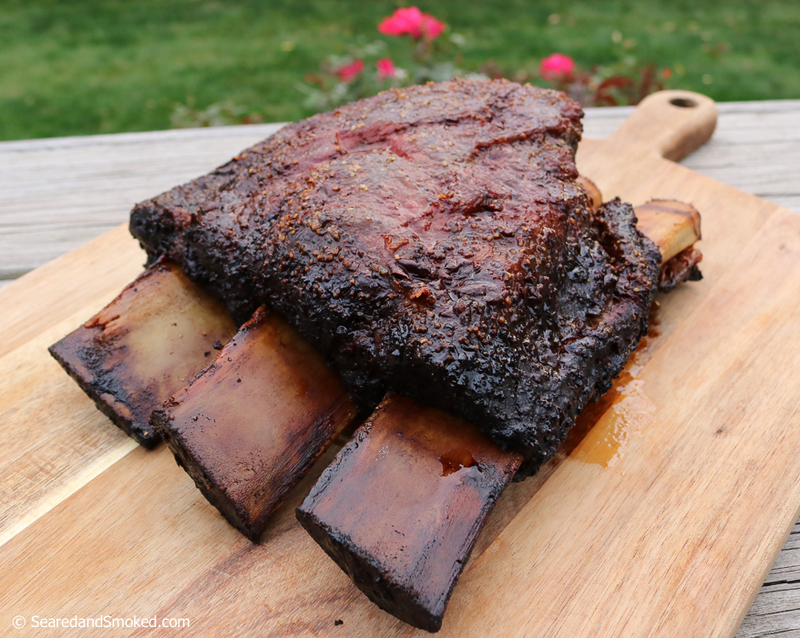 The first challenge to smoking great beef ribs is finding an awesome rack of beef ribs. I have had the most success finding these at Whole Foods, here in Des Moines, Iowa. Usually the butcher will cut through the bones, making short segments of Beef Short Ribs. What you want to ask for is a full, uncut rack of Beef Plate Short Ribs. You want about one rib per person, depending on the size of the ribs. Three ribs has weighed about 5 lbs in my experience. 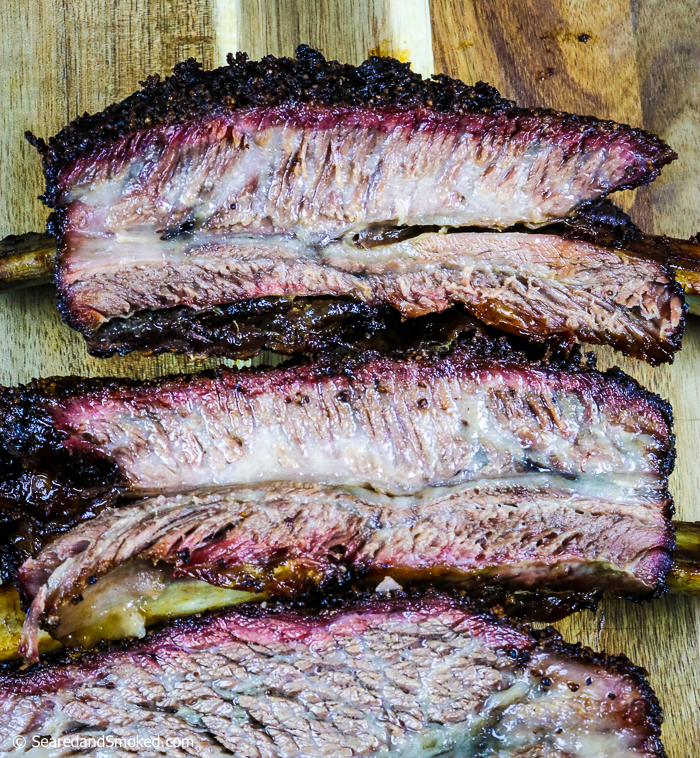 Once you track down your beef ribs, let’s get cooking! Heat your smoker up to 250-275 F. I prefer 250 most of the time, only going hotter to speed up the process if needed. Expect the total smoking time to take 8-10 hours. Shooting for a sustained internal temperature of 205 F.
Trim any excess fat from the top and sides of the ribs. I do not mess with the bottom (bone side) of the ribs. Slather your ribs with Sriracha sauce. Use several tablespoons for each side. 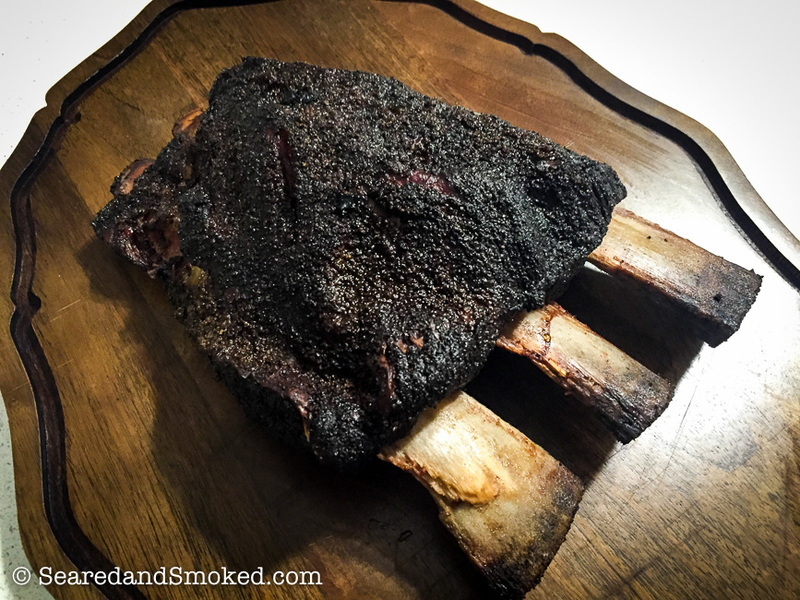 Season all sides of the beef ribs with the beef rib rub. You want a nice even coating, but not excessive. The Sriracha adds heat, but it also adds salt too, so don’t over do it. Smoke for 5-6 hrs at 250 F, then start monitoring temperature. 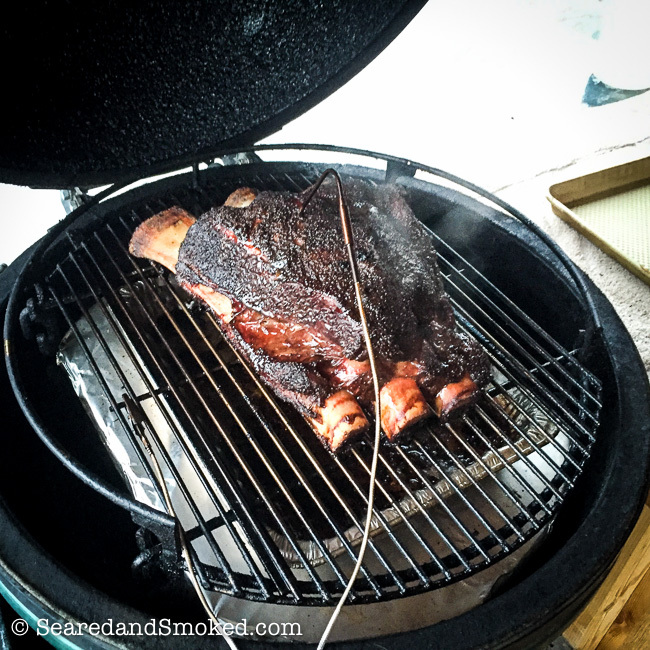 I use a few chunks of cherry and oak to start the smoke, then another chunk an hour later. I then allow the lump charcoal to provide the rest of the smoke flavor. Start monitoring the temperature of the beef ribs and spritz the ribs every 45-60 minutes with the vinegar & water solution. 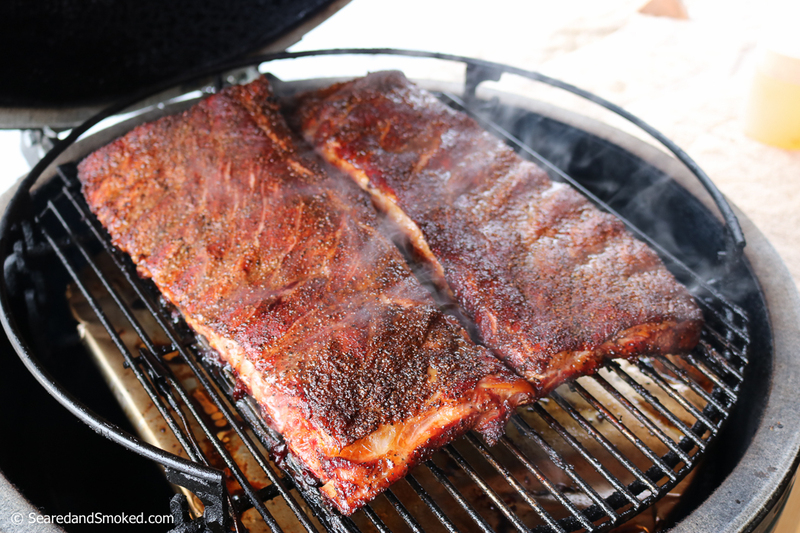 Smoke until internal temperature reaches 205 F. You can pull them at 200 F, but usually the ribs have enough fat in them that 205 F allows more fat to render out. Pull from the smoker and wrap in foil to rest for one hour. I have loved every reverse seared ribeye that I have grilled. 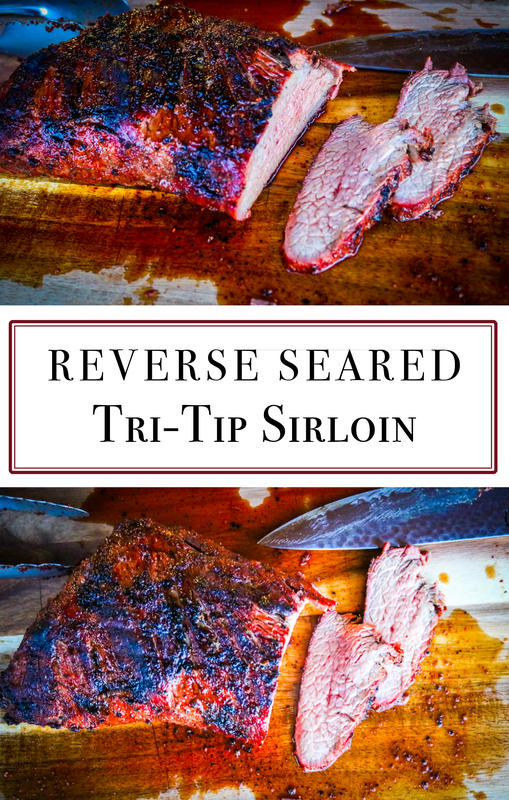 I figured a reverse seared tri-tip could not be too bad… and yes… it turned out pretty damn good, so I am sharing it with you! When picking out a good tri-tip roast, try to pick out the largest one you can find. When using the reverse sear technique, you want a nice thick steak, ideally at least 2 inches thick. This allows you to slow cook the tri-tip at 350 F for about one hour, and then sear the hell out of it for a few minutes on each side. Tri-tip is a regional cut of beef to some extent, more popular on the West coast. If you have trouble finding a good tri-tip, contact your local butcher ahead of time, or usually you can find them at Trader Joe’s, if you have one in town. 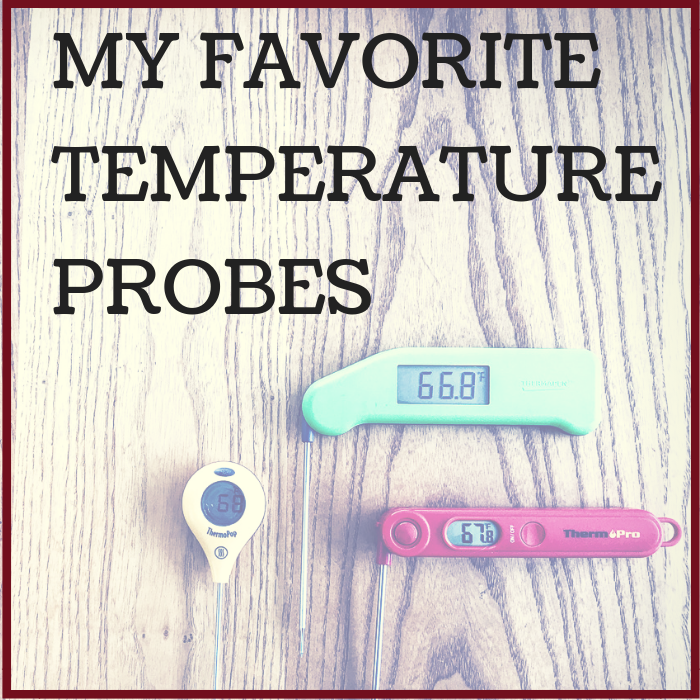 Wireless Temperature Probe – iGrill 2 – to monitor internal temperature during the slow cooking process. Pick out a nice large Tri-Tip, ideally over 3 lbs and 2″ thick. Season Heavily with a Salty Peppery Rub. Let the rub marinate over night, loosely covered in the fridge. 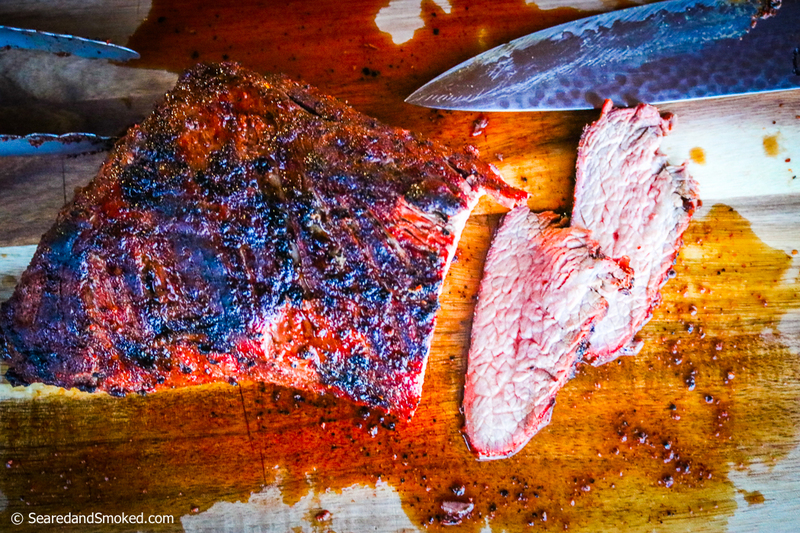 I used GGs tri-tip rub for this recipe, which I received from the Grill Masters Club. Check out my review of Grill Masters Club for more information on their services. Setup your grill for indirect heat, at 300-350 degrees F. I use a webber kettle for my reverse seared tri-tips and ribeyes. Place on the grill, away from the coals for about one hour, grill closed. Flip the tri-tip half way through. Monitor the internal temperature of the tri-tip steak and pull the tri-tip when it reaches 110 F.
Set the tri-tip aside and then leave the cover off the grill, allowing the coals to burn hot and wild. Place the tri-tip steak back on the grill and sear for a few minutes on each side. You want the internal temperature to be close to 130 F for a nice medium rare steak. 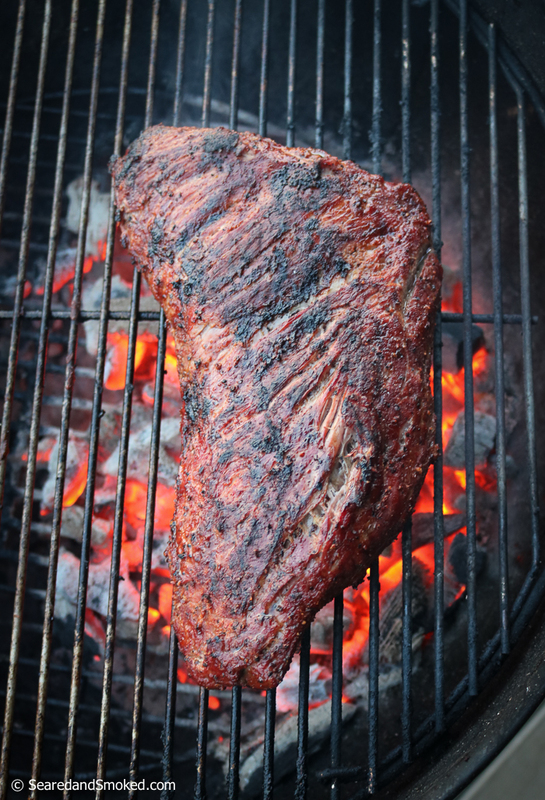 Let the tri-tip rest for 10 minutes before slicing thin for serving family style or making delicious steak sandwiches. 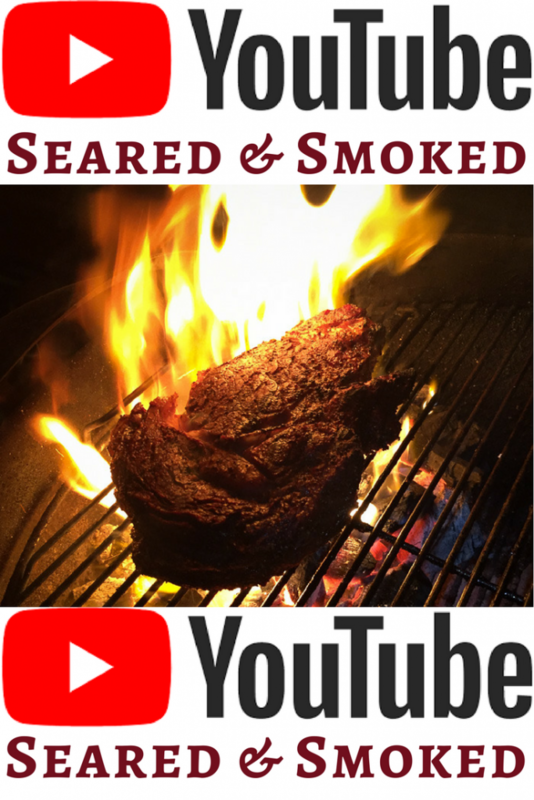 Check out my Reverse Seared Tri-Tip video below for more information…..
You can use this rub on a lot of different meats with great results. I use it all the time on steaks and burgers and have also used it for chicken wings, legs, and thighs. Make this ahead of time and keep it in a spice jar to use as all purpose beef seasoning. If you give this a try… let me know how it turns out in the comments section below or drop me a line on Facebook. If you made me choose what my favorite BBQ meat, it might be St. Louis Pork Ribs. They are succulent, juicy, tender, and so versatile. You can cook them a lot of different ways to achieve different flavors and textures. Today, we are experimenting with Cajun Honey Glazed St. Louis Pork Ribs. 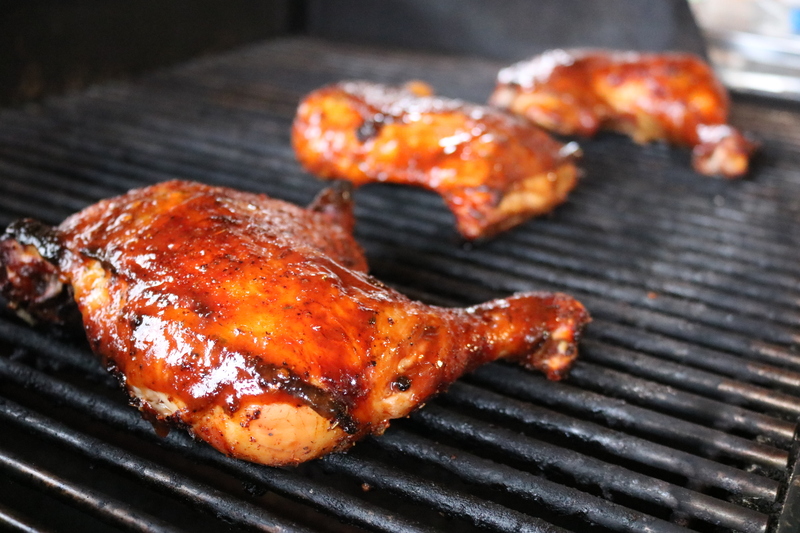 The sweet and tangy honey glaze will compliment the heat and herbs used in the cajun rub. Hell, after trying this, I realized the honey glaze would be good on about any ribs you pull off the smoker. I challenge you to give these Cajun Honey Glazed St. Louis Pork Ribs a shot. You will not be disappointed. 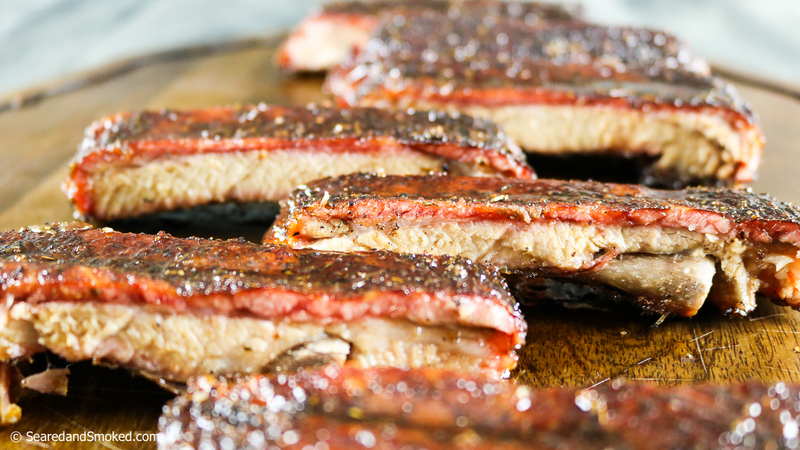 If you are reading this, you probably love smoking ribs, right? So do I! However, I do not always have a lot of time on my hands, often trying to fit to much into a weekend. These hot and fast smoked pork ribs, smoked and braised in butter and bbq sauce, will allow you to fit some great tasting ribs into a tight window on a Saturday or Sunday. You can put these pork ribs on the smoker at 3:00 and serve them at 6:30 with out compromising taste or tenderness. Easy, fast, and delicious…. lets get cracking! If you prefer watching a video, showing the whole process, check out my video below. It shows how to prep the ribs, proper amount of seasoning, etc. Another year has passed and another Thanksgiving Turkey is upon us. Every year I typically try something a little different with the thanksgiving turkey. This year I am preparing a Brined and Buttered Smoked Thanksgiving Turkey, smothered with a mixture of fresh herbs, pepper, and BUTTER! Keeping it simple, but super tender and moist, with a ton of fresh flavor from a lot of chopped herbs. This might be my favorite Thanksgiving Turkey I have ever made. I invite you to give it a try for your family and friends…. I think you will end up looking like a hero! My philosophy with turkey and chicken is keep it simple. 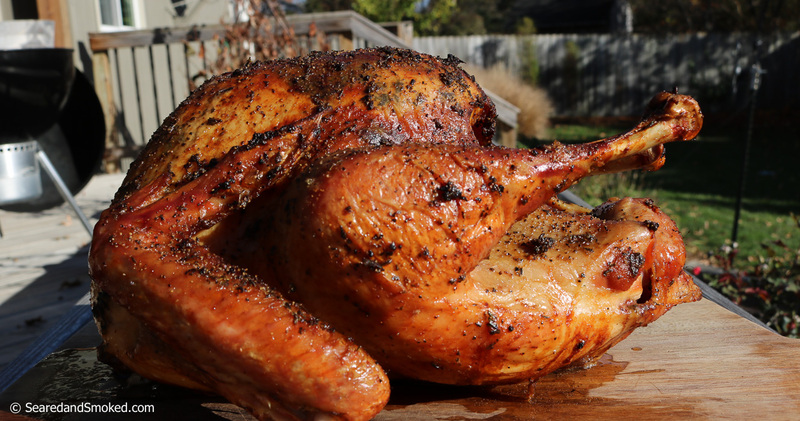 Let the bird do the talking with a nice accent of flavor added from a brine, flavorful rub, or a combination of both. 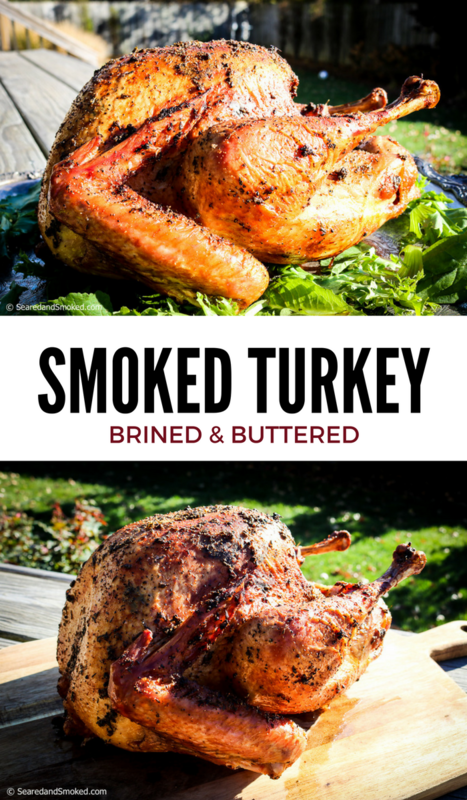 The 4 ingredient brine from this recipe gives it a nice light saltiness throughout the turkey meat and the herby butter provides a brightness to the meat with out over powering it. I look forward to making this again on Thanksgiving Day! I used my Big Green Egg to smoke the turkey. 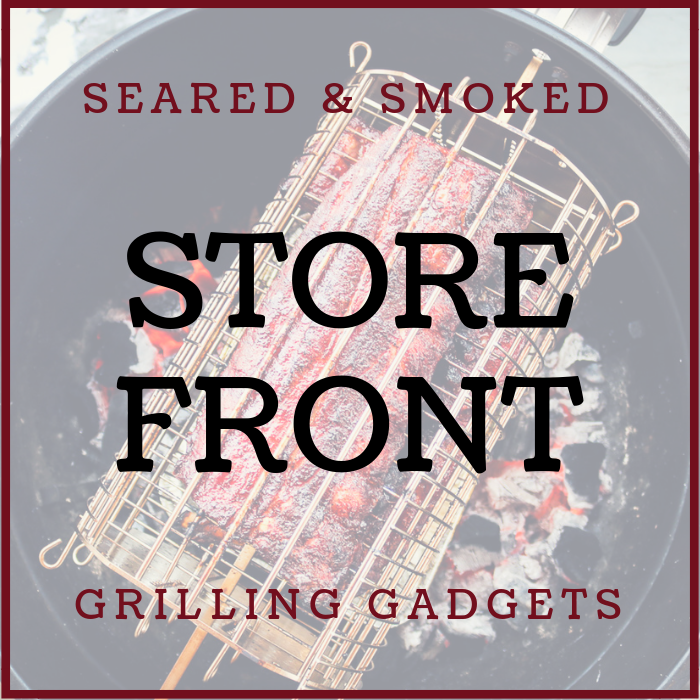 You can use what ever smoker or grill you have available. You can also use an oven if needed. The most important thing is keeping the temperature at 325 F, nice and steady. If you are looking to buy an entry level smoker, the best value grill/smoker out there might be the Weber Kettle Premium 22″. 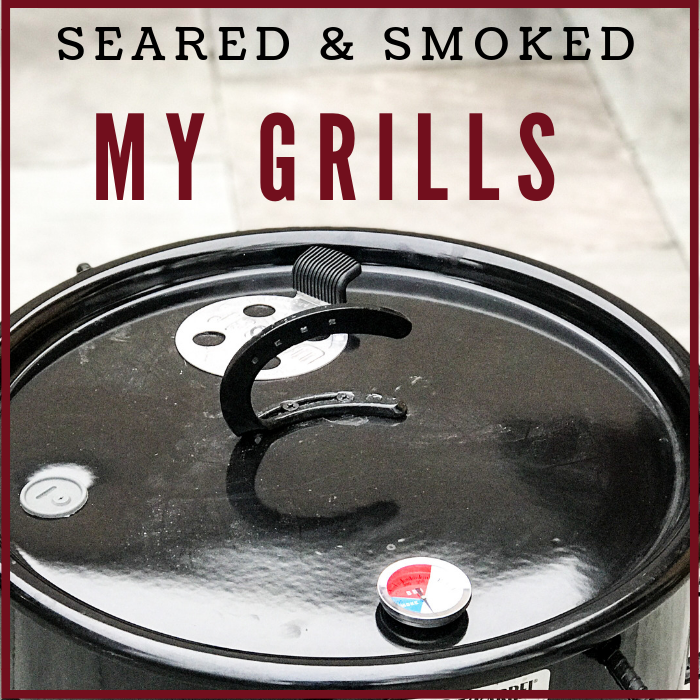 It is a grill first, but can perform great as a smoker. I love it for chicken or turkey. 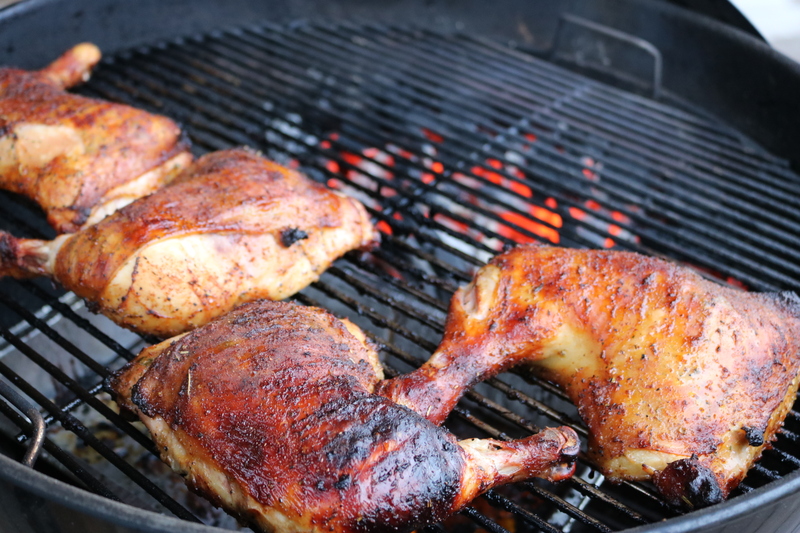 If you are going to use a Weber Kettle, you may want to check out my post on smoking a chicken on a webber kettle. 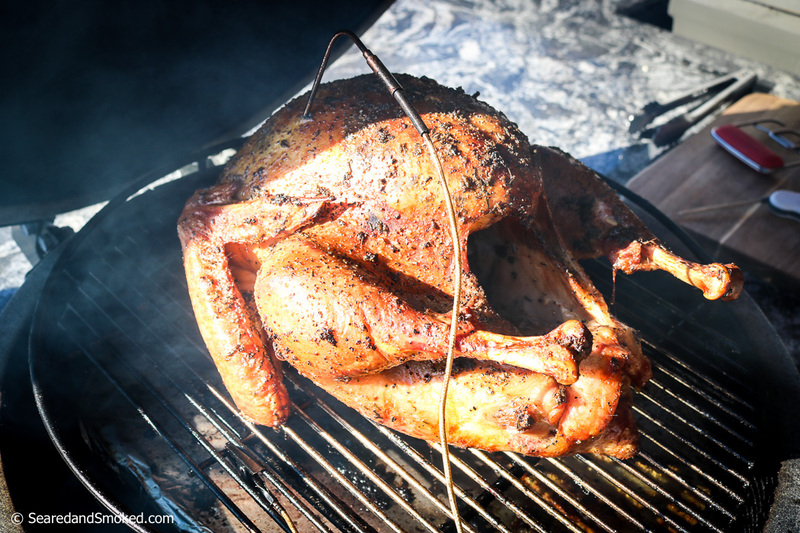 Go with all lump charcoal to give the turkey a kiss of smoke, rather than drowning the bird with smoke. My favorite lump charcoal is Fogo Premium Hardwood Charcoal. Big pieces that last a long time. Pick out a nice turkey. I like the average 12-14 lb birds. They cook up fast and are easy to handle. If you have a real crowd… buy two! Let it thaw out in the fridge. This will take 3 days or so. Brine the turkey overnight. I use my largest pasta pot and my beer fridge to store the turkey overnight. If needed, use a food safe brining bag and a cooler full of ice around the bag to keep it cool overnight. Start your smoker and heat it to 325 F. I am only using lump charcoal to smoke this Thanksgiving Turkey for a light smoke flavor. If you like, add a small amount of apple or cherry when starting the cook. Mix up the butter, herb, pepper mix. Heat the butter up if needed to make it easier to mix, but you want it thick and sticky. Quickly rinse your turkey with cold water and then dry your Turkey. Apply the butter mix all over the outside and inside of the turkey. Use your hands to pry the skin away from the breasts and then apply the butter between the meat and the skin. I used the entire stick and a half of butter… I don’t think you can over do it. 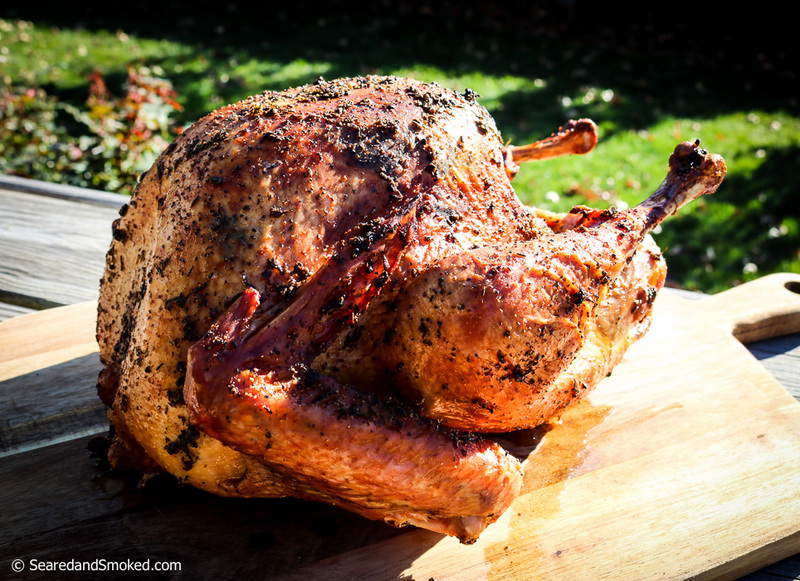 Smoke the turkey until breast temperature is at 160 F and the thigh is above 165 F. Let it rest for 15 minutes and carve that turkey up! For a 12 lb bird, I have found the smoking process to take about 120-140 minutes at 325. If you vary the temperature, cooking time will change. 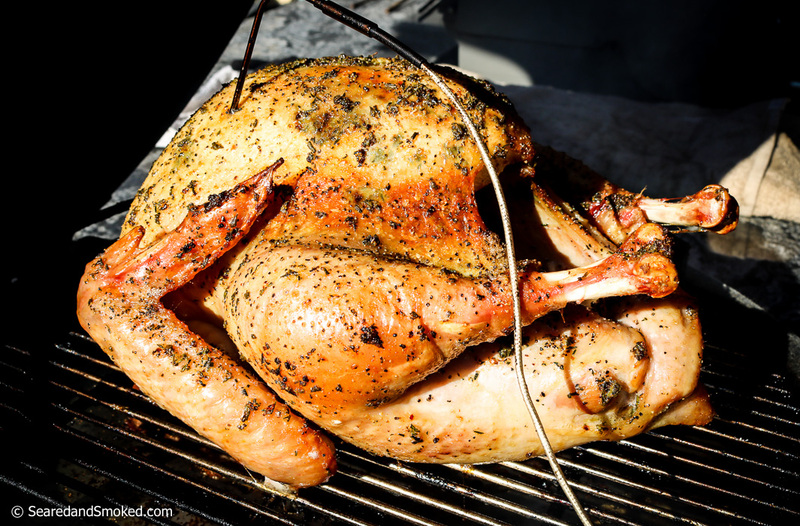 Trust a good meat thermometer to tell you when to pull the bird. 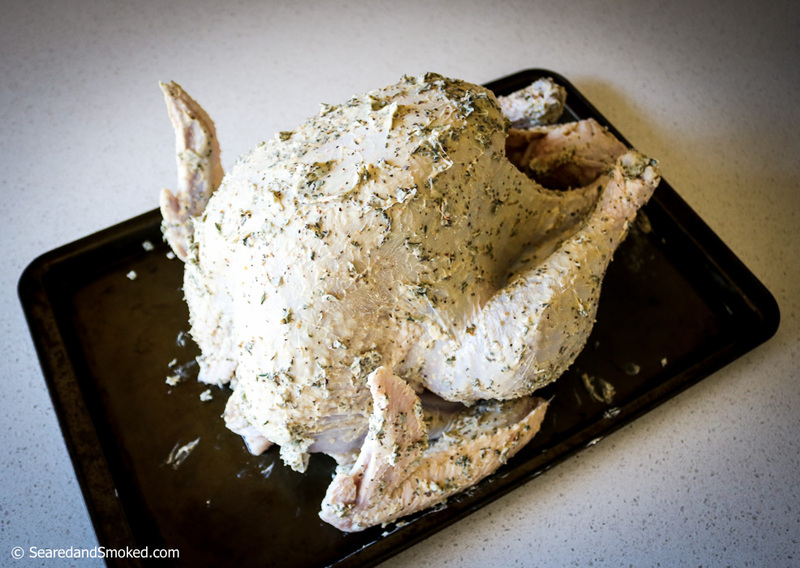 Brined turkey, rubbed inside and out with the herby butter mix. Smoked turkey on my big green egg. This is at the half way point, one hour into the smoke. Smoked turkey at the end of the smoke, 2 hours total. Over the years I have tried Asian Glazed Chicken Wings at a number of restaurants. All of them have been tasty in their own way, and have inspired my own take on this awesome snack. This asian glaze will bring a tangy heat to any grilled chicken wing and can also be used for chicken breasts, legs, thighs…. or Pork and Beef. 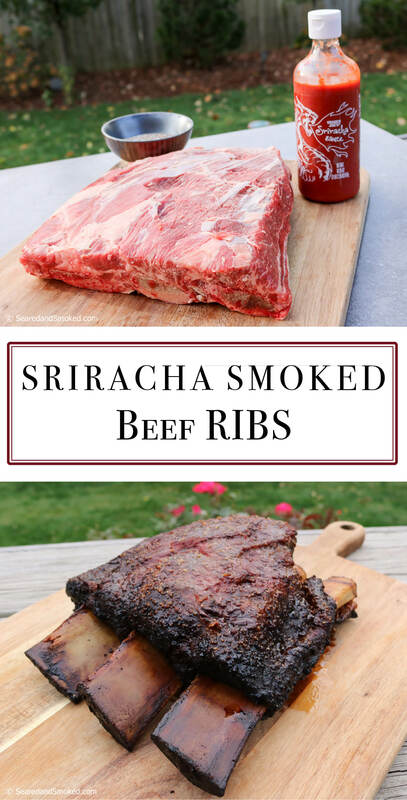 In the next few weeks I am going to try it on grilled short ribs…. could be a winner? 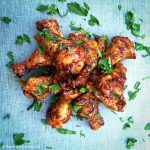 To create these Asian Glazed Chicken Wings, we are going to use a similar process I use for my Crispy Grilled Chicken Wings…. 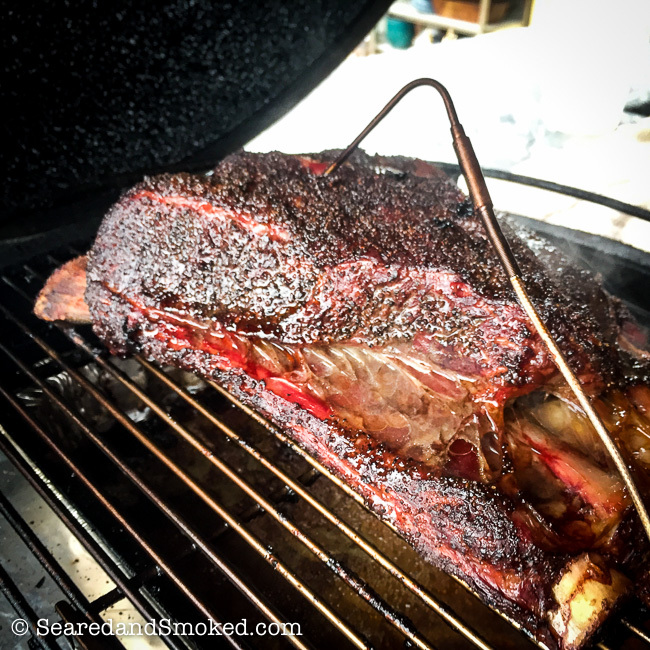 Slow Cook – on the grill/smoker over indirect heat at 400 F for about 45 – 60 minutes. Turning the chicken wings every 15 min. 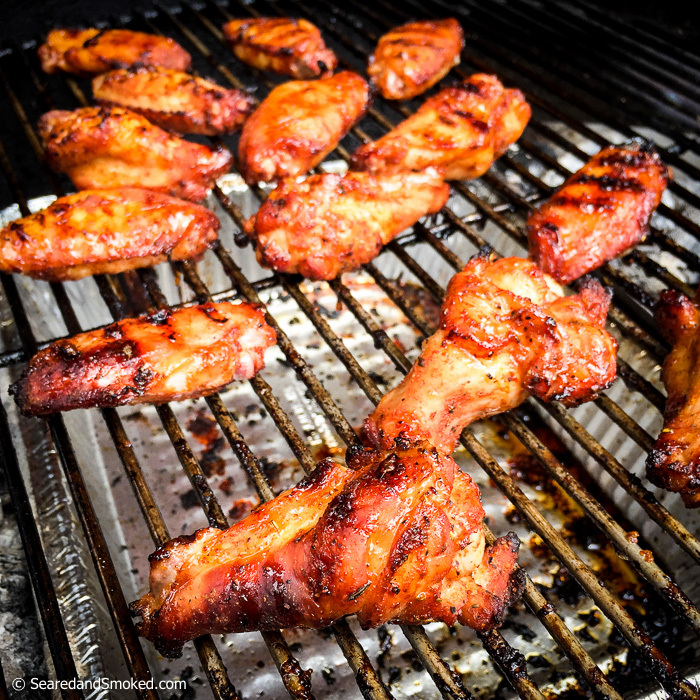 Finish Hot – grill over high direct heat on each side to crisp the chicken wings. 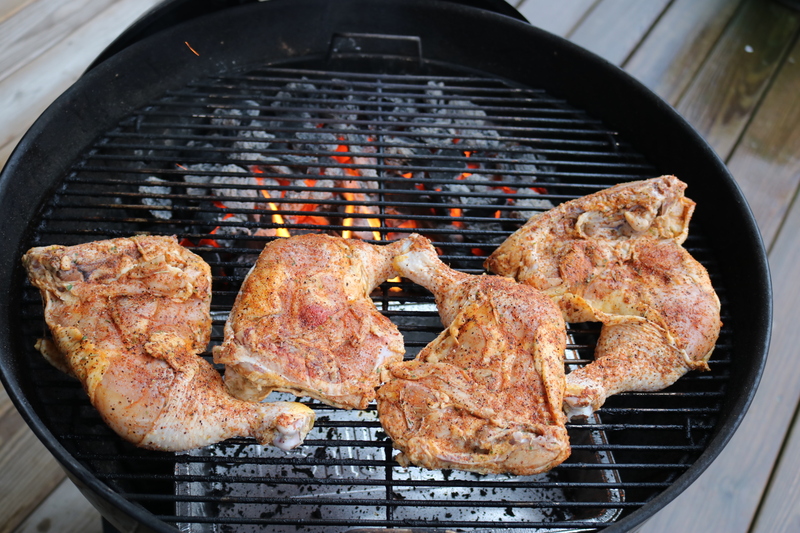 If your grill is very hot, this may only take 30 sec on each side, but could take a few minutes a side if not so hot. 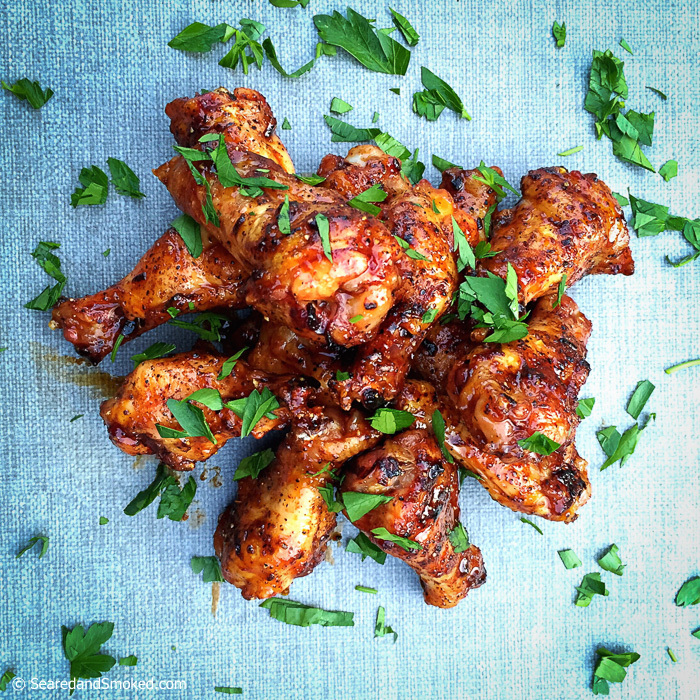 Glaze– coat the chicken wings with the Asian Glaze and enjoy! For these Asian Glazed Chicken Wings, we want our glaze to shine the most. But, we still want a nice layer of seasoning absorbed into the chicken wing, so we are going to use a complimentary rub. My Sweet Lov’n BBQ Rub has a nice balance of salt, sugar, and chile powder that provides a nice back drop for the Asian Glaze. 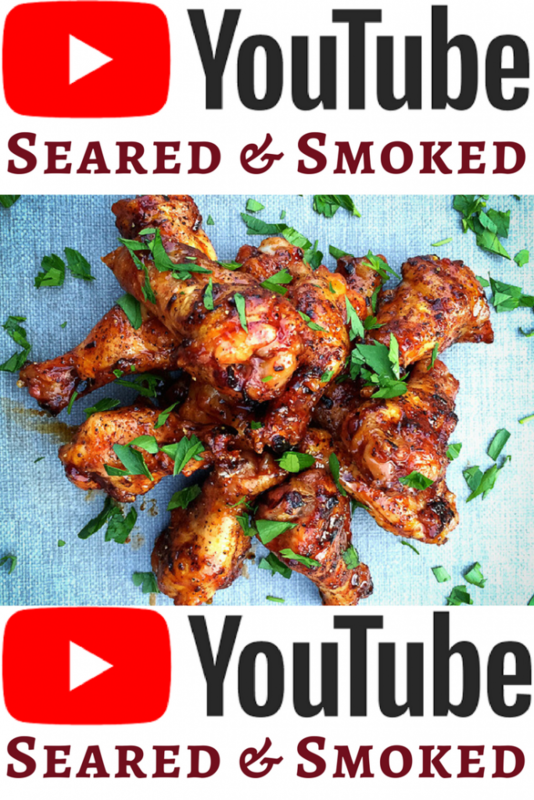 The sugar and spice will also help develop a nice caramelized crispy skin when we finish the wings over high heat at the end of the grilling. The ingredients are below…. 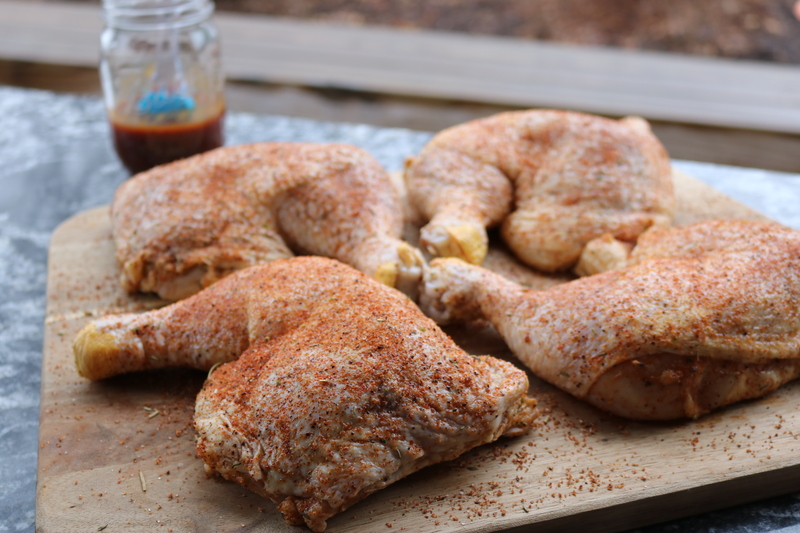 This rub brings a little heat and sweetness which goes along well with our sweet, hot, and tangy Asian Glaze. You can make this asian glaze ahead of time. It takes about 30 minutes to make, allowing some time to reduce the mixture into a nice syrupy viscosity. 1 Large Clove Finely Chopped Black Garlic (fermented garlic – found at Trader Joes for sure). Use one clove of fresh garlic if needed. Add the sesame seed oil, ginger, and garlic to a small sauce pan. Simmer for 5 minutes. Mix in all other ingredients besides black pepper and chili flake. Simmer for about 20 minutes, until it reduces down into a syrupy viscosity. Taste, then add black pepper and red chili flake to desired spice level. I like a big pinch of each. Pin this recipe for later…. 1 Large Clove Finely Chopped Black Garlic Fermented garlic, found at Trader Joe's. Use regular garlic if needed. Slow Cook - grill or smoke the chicken wings over indirect heat at 400 F for about 45 - 60 minutes. Turning the chicken wings every 15 min until they have a nice golden color start to develop. Finish Hot - grill over high direct heat on each side to crisp the chicken wings. If your grill is very hot, this may only take 30 sec on each side, but could take a few minutes a side if not so hot. Glaze- coat the chicken wings with the Asian Glaze and enjoy! Sprinkle with cilantro for some brightness. De-bone your chicken thighs. 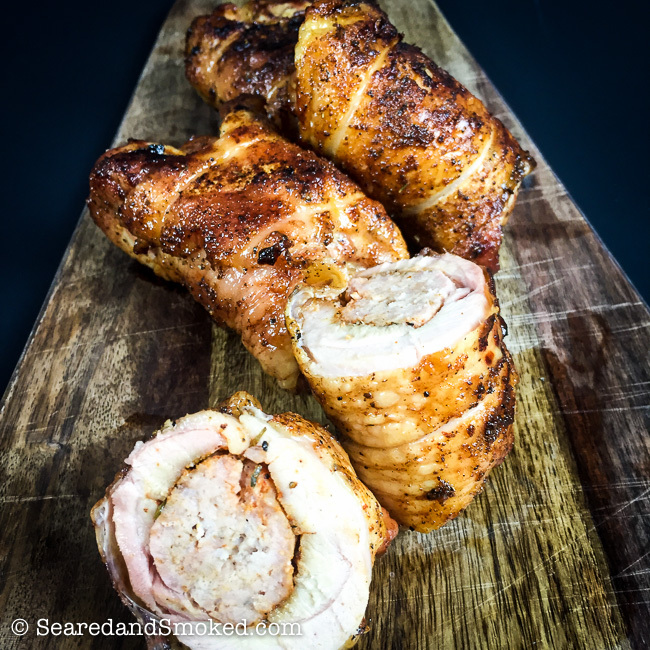 If you have not done this before, check out the video here below…..
Lightly season the inside of the chicken thigh with BBQ Rub. I like the Good Lov’n Rub for this recipe. 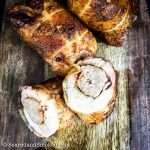 Stuff the chicken thigh with a golf ball sized piece of sausage, rolled down to the length of the chicken thigh. Carefully wrap the chicken thigh around the sausage and tie up with two lengths of butcher’s twine. Season the outside skin with a nice even coating of BBQ Rub. Heat up your gas/charcoal grill to medium/high heat. Dome temperature around 450 F.
Finish the thighs on the grill, turning often until the skin is nice and crispy. Usually about 10 minutes, turning every 1 minute. 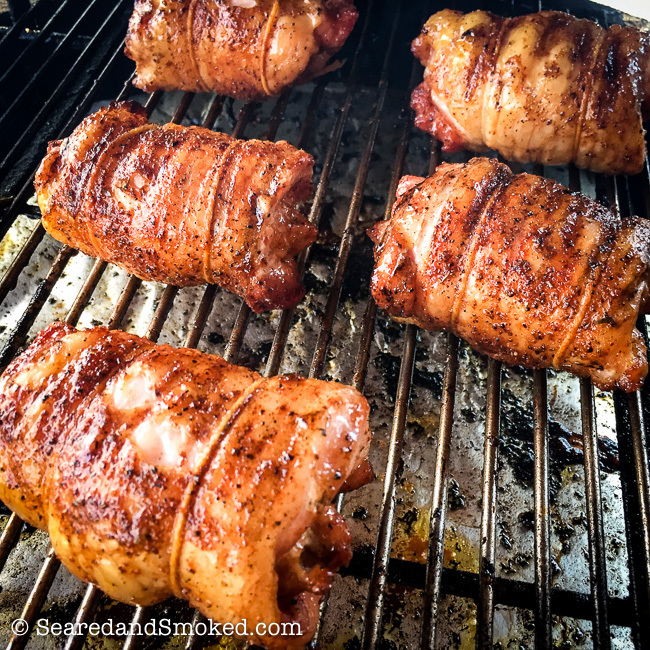 Learn how to smoke and grill sausage stuffed chicken thighs. The rich flavor of the chicken and sausage, paired with perfectly crispy skin, is a winner. 3 Sausage Links Removed from casing. Italian, Andouille, or other sausage of your choice. De-bone your chicken thighs. Keep skin on. Lightly season the inside of the chicken thigh with BBQ Rub. I like the Good Lov'n Rub for this recipe. Carefully wrap the chicken thigh around the sausage and tie up with two lengths of butcher's twine. 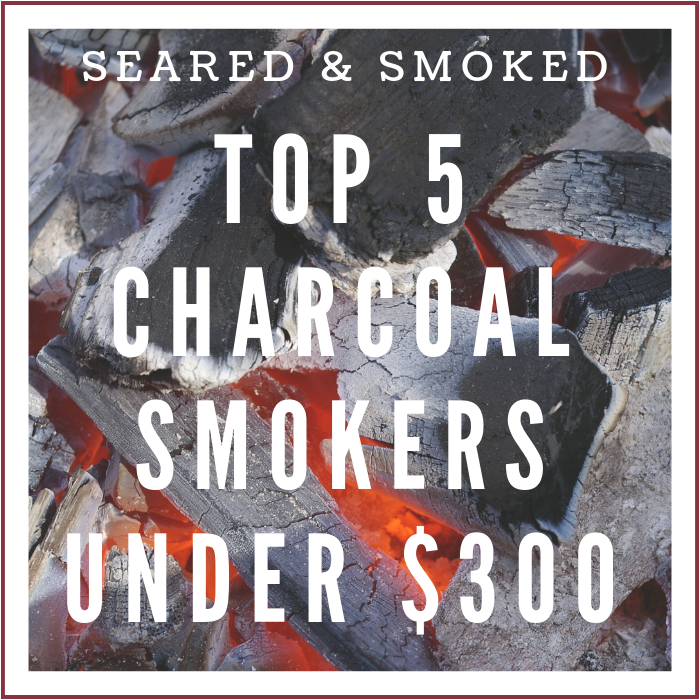 Smoke for 1 hour at 350 F.
Heat up your gas/charcoal grill to medium/high heat setup for direct heat. Dome temperature around 450 F.
Finish the thighs on the grill, turning often until the skin is nice and crispy. Usually about 10 minutes, turning every 1 minute. This time could a lot less if your grill/smoker is hot. Keep an eye on them initially. Add cherry and oak wood before placing on the smoker. Smoke for at Total of 8 hrs. I used a water pan beneath the ribs. Spray with water vinegar solution and wrap with foil. Let the Smoked Beef Ribs rest for 45 minutes. My rack of ribs started out at 5 lbs and they comfortably fed 4 people. They have a nice salty flavor with a subtle heat from the pepper and cayenne. Everyone really enjoyed them and they are so dramatic with the dinosaur sized bone. Check out this video showing the process…. If you like the video, please like it on YouTube. It helps me get a little more exposure. If you have questions on the process, just send me an email or leave me a comment. I loved the way they turned out and look forward to smoking them again! 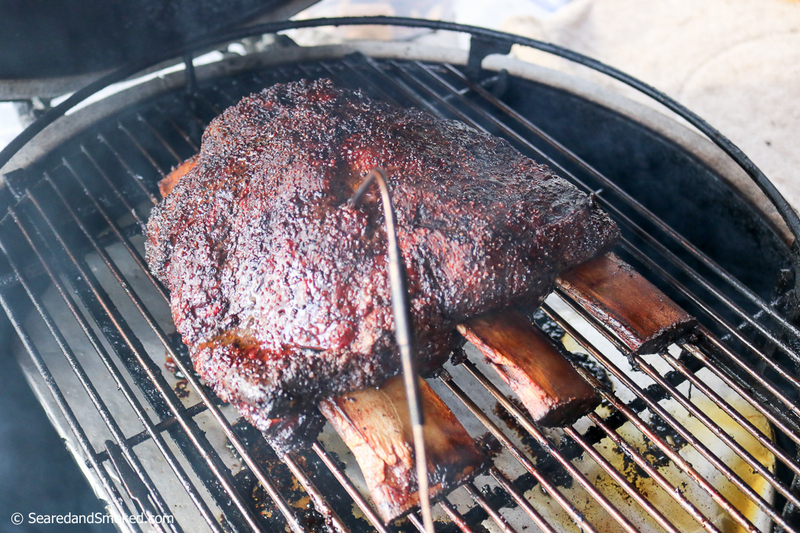 Learn how to smoke perfect Beef Ribs on the Big Green Egg or any other smoker. Start heating up your smoker for indirect heat at 260 F. Place drip pan below the spot where your ribs will sit. Pour a pitcher of water into the drip pan. Trim excess fat off of ribs. Leave the underside intact, do not remove the fatty membrane. Add cherry and oak wood before placing on the smoker. Smoke for at Total of approximately 8 hrs. Pull Ribs off when they reach 200-205 F. I have actually started shooting for 205 F, to ensure the fat breaks down more. 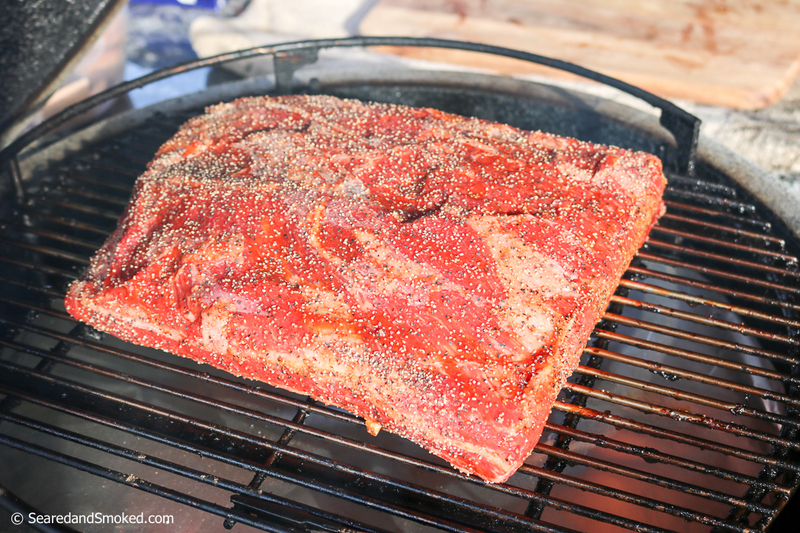 Heat smoker to 260 F Trim excess fat off of ribs Rub with the Beef Rib Rub - nice even thick coating 3 Tablespoons Salt 3 Tablespoons Coarse Grind Pepper 1 Tablespoon Ancho Chile 1 teaspoon Cayenne Pepper Add cherry and oak wood before placing on the smoker. Smoke for at Total of 8 hrs. I used a water pan beneath the ribs. Smoke for 5 hrs with out opening the smoker Spray Ribs every 45 minutes with 3 Parts Water 1 Part Apple Cider Vinegar for the remaining 3 hours or so Pull Ribs off when they reach 200 F Spray with water vinegar solution and wrap with foil. Let the Smoked Beef Ribs rest for 45 minutes. Slice and enjoy!